A comprehensive and mechanistic perspective on fruit ripening, emphasizing commonalities and differences between fruit groups and ripening processes. Fruits are an essential part of the human diet and contain important phytochemicals that provide protection against heart disease and cancers. Fruit ripening is of importance for human health and for industry-based strategies to harness natural variation, or genetic modification, for crop improvement. This book covers recent advances in the field of plant genomics and how these discoveries can be exploited to understand evolutionary processes and the complex network of hormonal and genetic control of ripening. 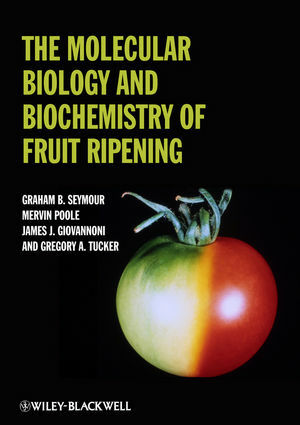 The book explains the physiochemical and molecular changes in fruit that impact its quality, and recent developments in understanding of the genetic, molecular and biochemical basis for colour, flavour and texture. It is a valuable resource for plant and crop researchers and professionals, agricultural engineers, horticulturists, and food scientists. Graham B. Seymour is Professor of Plant Biotechnology and Head of the Plant and Crop Science Division at The University of Nottingham, UK. Mervin Poole is Section Manager at Campden BRI - the UK's largest independent membership-based organization carrying out research and development for the food and drinks industry worldwide. James J. Giovannoni is a Research Molecular Biologist for the United States Department of Agriculture, Professor at the Boyce Thompson Institute for Plant Research and Adjunct Professor of Plant Biology at Cornell University, USA. Gregory A. Tucker is Professor of Plant Biochemistry and Associate Dean (Science) at The University of Nottingham, UK.